Change Blog Do rental subsidies work in the long term? More than half of the world’s population is now living in urban areas, increasing the risk of large-scale urban displacement due to natural disasters such as earthquakes, typhoons and tsunamis. When a city’s housing stock is damaged or depleted due to a disaster, it puts a strain on the city’s ability to respond and recover, as public and private spaces are filled with temporary shelters and the affected populations – necessary to the recovery effort – live in insecurity. This problem is exacerbated in developing countries. Rental support is an intervention gaining usage worldwide to address the need for housing between the immediate, emergency shelter phase and the long-term recovery efforts. Typically, a cash grant equivalent to one year’s rent is provided to a family to facilitate their relocation from internally displaced persons (IDP) camps or temporary housing while they secure a permanent housing solution. Rental subsidies have been used following disasters in both developed and developing countries, notably in Haiti after the 2010 earthquake. At the time of writing, rental support was being considered as a recovery option in the Philippines to respond to Typhoon Haiyan (local name Yolanda), which struck the Visayas region in November 2013. Rental support programs can have a positive effect in post-disaster recovery efforts. Families that benefit from such programs generally increase their physical security, and their relocation from IDP camps or temporary housing eases a strain on the affected city’s infrastructure and recovery efforts. The infusion of cash also supports economic and physical recovery – in Haiti for example, one study found that 77% of landlords used the rental support to upgrade their houses. Its positive effects, however, are largely limited to the short term stimulus described above. 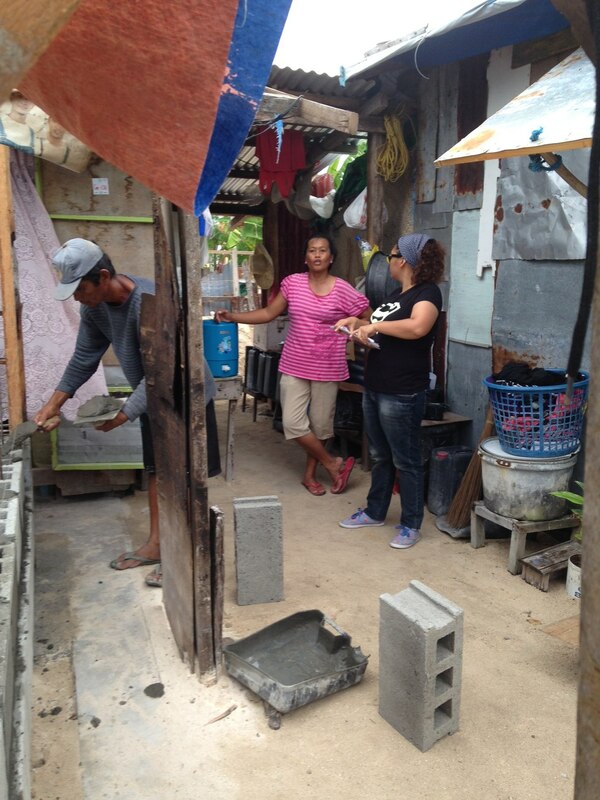 Rental support programs do not build resilience in the local housing sector and can have adverse long-term effects, most regrettably by driving unsafe repairs or upgrades on already insecure housing to meet the demand for rental accommodation, or by encouraging new construction in informal neighborhoods. Rental support programs typically do not offer technical assistance to landlords to ensure that repairs, upgrades and new construction are done safely, missing a big opportunity to increase the safety of the local housing stock and foster a change to safer construction practices. Furthermore, the short duration of the rental support means that families will potentially be looking for housing again in a year’s time. This is a concern, because the donors providing rental support programs (local governments and their implementing partners) no longer have a responsibility to the affected population. In Haiti, one study found that only 25% of families stayed in their rental accommodation for a second year after their subsidy had lapsed. The remaining 75% either couldn’t pay rent without the subsidy or had difficulty with the landlord, and so they needed to find other solutions. A small portion of families tried to return to the IDP camps and were forced to erect informal housing on precarious hillsides or unclaimed land, but the majority turned to the general market. Due to delays in permanent housing programs and lack of widespread technical assistance for homeowners engaged in self-recovery, few safe, permanent housing options were available to accommodate these families. Support the whole housing sector, not just landlords that can accommodate relocated families. Raise public awareness about safe construction, and provide technical assistance to support the safe repair, upgrading or reconstruction of houses. This may include direct support to homeowners, training programs for community builders and local construction professionals, and/or capacity building of local government officials to inspect and permit residential houses. Optimize rental subsidies by using them as leverage to foster safe construction. Treat cash grants as incentive-based financing for homeowners to repair, upgrade or rebuild their house, and provide technical assistance to encourage adoption of disaster-resistant construction practices. Be sure to include technical assistance in the project’s budget. Whenever possible, improve the supply before inflating the demand. Permanent housing reconstruction can begin immediately following a disaster – damaged houses can be retrofit quicker and more cheaply than transitional shelters can be erected, and new houses can be rebuilt as soon as the rubble is cleared. Set the conditions to increase the supply of safe housing before launching a rental support program.